We Must Overcome Violence with Peaceful Exchange. Much to our national shame and pain, two Black men are dead and five Dallas Police officers are dead this week. The common denominator is the unrestrained violence so widespread in our country today. In the presence of such tragedy, the NAACP Pennsylvania State Conference of Branches calls for peaceful responses and non-violence in our displays of concern. Yes, it is documented that Black men have suffered unwarranted violent deaths at the hands of police officers across the USA . Yet, the police of Dallas were unjustifiably attacked during their work to guarantee the safety of citizens engaged in lawful, non-violent, peaceful protest directed at excessive use of force by police in areas of the country. Our hearts go out to the families, friends and colleagues left to grieve the loss of these brave, committed public servants. These questions and the incidents of this week make it clear that this country must discuss the culture of policing as concerns its Black citizens. The dialogue must begin now and needs to be ongoing until there is a consensus on how law enforcement best engages with all persons. NAACP PA calls on everyone to honor all the dead of this July, 2016 maelstrom of death and pain with peaceful dialogues aimed at designing workable plans on how to build community support for police while developing appropriate police relations and interactions with all citizens. 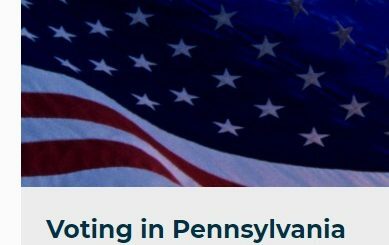 While it is clear that peaceful discussions are needed across the USA, NAACP PA calls for its local units to initiate such discussions in Pennsylvania communities with all due haste. As well, NAACP PA will immediately request that Pennsylvania Legislators hold hearings to gather information on best practices in the field of law enforcement. We must overcome violence with peaceful exchange, mutual respect, genuine caring; and adequate, effective policy. For more information please contact NAACP PA at 484-636-9308 or contact the State President at duvallflynn@yahoo.com.